Life with Lesley: Another COTT Victory! This week Elaine Marie Cooper takes the crown over at Clash of the Titles. 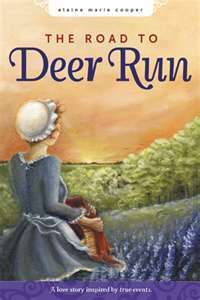 The category was Most Romantic Moment and the excerpt was from her novel The Road to Deer Run. She beat out her competitor Lorna Seilstad with a 54% to 46% vote. I am shouting for joy that my submission has been accepted! Thank you so much!! I am very honored to be a COTT contender! I'm so excited for this opportunity, Michelle and again, I so appreciate having my excerpt chosen. Thank you. It's a thrill to be here at COTT! It's a thrill to have you! Elaine's energy infused the entire two weeks of the Clash with excitement and fun. It ended up being one of the most commented-on clashes, for both contenders. This sounds wonderful. I love reading about the revolutionary war and I like your cover! Way to go, Elaine! Find out more about Elaine in her COTT interview here. Christian, Wife, Mother, Grammie to triplets, Registered Nurse, Novelist, Blog Writer for Reflections in Hindsight reflectionsinhindsight.wordpress.com and The Barn Door www.thebarndoor.net , Magazine Freelance writer, Newspaper columnist. Make sure to come take part in our next Clash on Monday: Emotional Intensity from our waiting-to-be-published authors.